May 17th in Plugin Lists, Wordpress Plugins by Wordpress Jedi . WP Cron Cleaner: it displays all your tasks and frequency for each. You can choose which ones to clean easily. The pro version detects orphan, plugin, and theme tasks. WP Crontrol: another plugin that lets you get a better handle on the WP-Cron system. 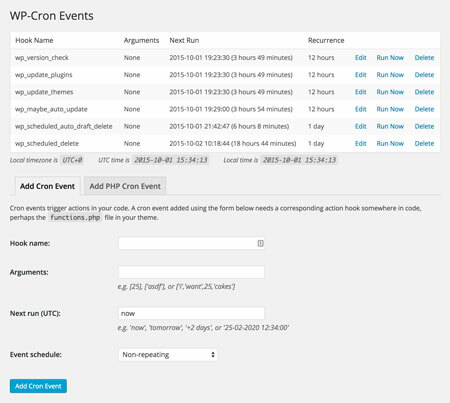 It shows all cron events and lets you add new items or remove custom cron schedules. 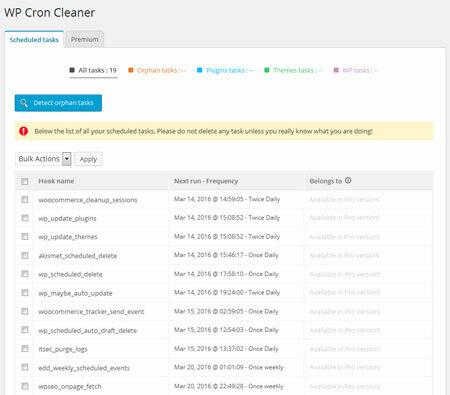 Advanced Cron Manager: lets you view, add, and delete tasks and schedules. The pro version features cron logging. 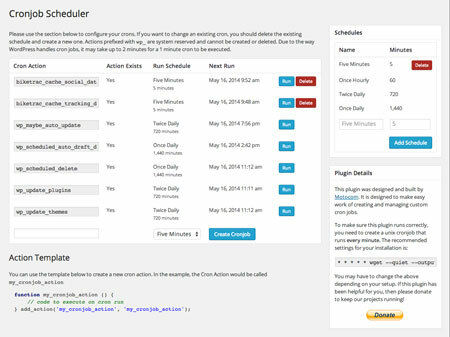 Cronjob Scheduler: this custom cron job plugin allows you to create tasks that are triggered on the schedule you define without anyone having to visit your site. 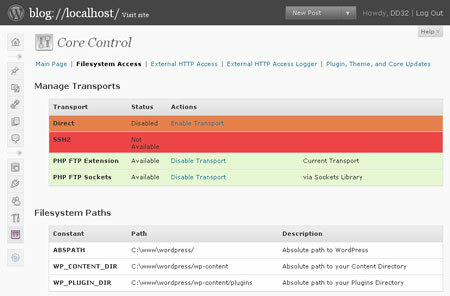 Core Control: has modules for managing filesystem access, updates, and the WordPress Cron system. Lets you run or cancel scheduled tasks easily. Have you found better WP Cron plugins? Please share them here.